(Dec, 2017) My name is Ericck Hans Sarmiento Bernal. 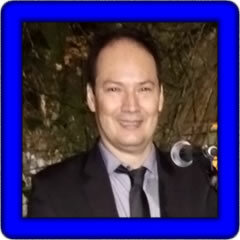 I was born on October 6, 1966 in the city of Cali (Valle) - Colombia. I am the son of Saúl Sarmiento and Gloria Bernal. My father is a musician and plays the guitar very well since he was very young. He introduced me to music and he wanted me to play an instrument. My wish was to play the piano, but it was difficult at that time because my father did not have enough resources to buy me an acoustic piano. So, when I was 10, my father suggested that I study another instrument like the tiple, an instrument similar to Cuban 3 but a little bigger with 4 orders of 3 strings. At age 14, my dream of playing a keyboard instrument became a reality when I learned to play the Thomas Play Mate electronic organ, which at that time was very fashionable. From then on, I began my career as an organist playing in hotels and restaurants in the city. I also lived for a short time in Spain and played in hotels in Palma de Mallorca. After this, I managed to get my first keyboard, the CASIO CZ-101, which was a mini keyboard. Then, when I got married, I bought the CASIO VZ-1 followed by Yamaha keyboards: the PSR-510, the PSR-S500, the PSR-S900, the PSR-S950 and last, but not least, my PSR-S970. I currently have several original compositions and I make musical arrangements for solo singers. You can listen to some of my performances through this PSR tutorial page. You can also watch my videos on YouTube as a solo performer and also in a group with my girlfriend and other colleagues. You will also find my songs available on SoundCloud. Little by little, I will be adding more to the repertoire. I hope all my fellow PSR Tutorial members like these songs. Hans' songs are arranged by song title. Click on the song title to listen to and/or download the song.